Raggedy Anns Seashore Adventure is for Baby to Pre-K. Raggedy Anns Seashore Adventure was written by MICHELLE DAVIDSON. 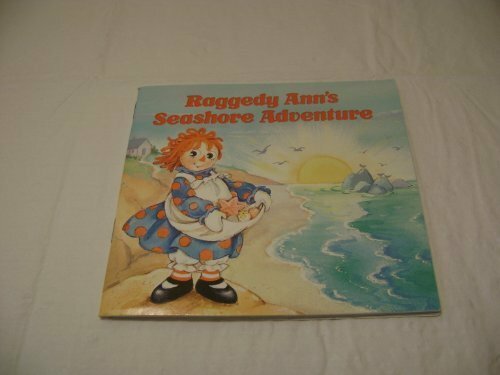 Raggedy Anns Seashore Adventure was published by Random House Books For Young Readers. Subjects of Raggedy Anns Seashore Adventure include Children: Babies & Toddlers, Dolls, Fiction, Non-Classifiable, and Seashore. About JEAN SHACKELFORD (Illustrator) : JEAN SHACKELFORD is a published author and an illustrator. Published credits of JEAN SHACKELFORD include Surp Lets Take Trip (Surprise Books) and RAGDY ANN'S SEASHORE A (Mini-Storybooks).